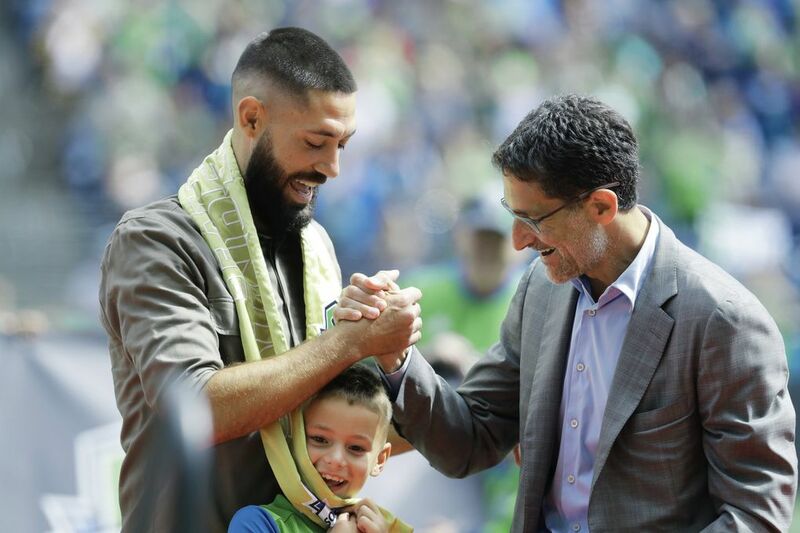 Sounders forward Clint Dempsey, feted by the team in a pregame retirement ceremony on Saturday at CenturyLink Field, was given a number of gifts by his former club. Among them, some fishing rods and an all-expenses-paid three-day trip to Alaska. 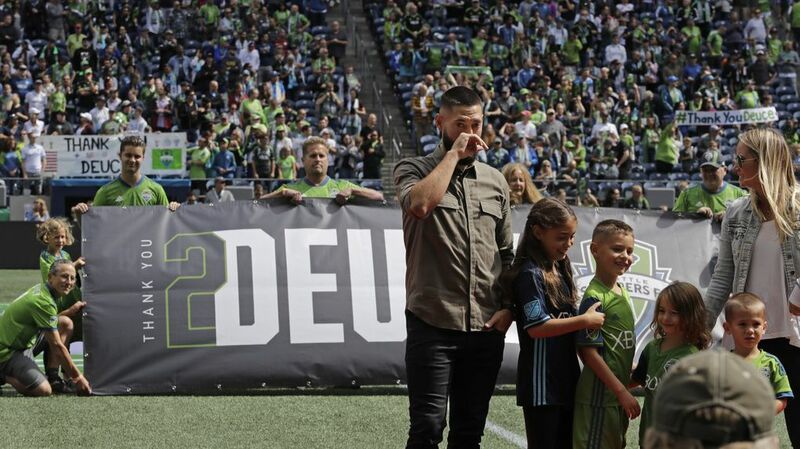 Clint Dempsey walked off his home field for the final time, some fishing rods in tow and the cheers of tens of thousands of fans echoing throughout the stadium. 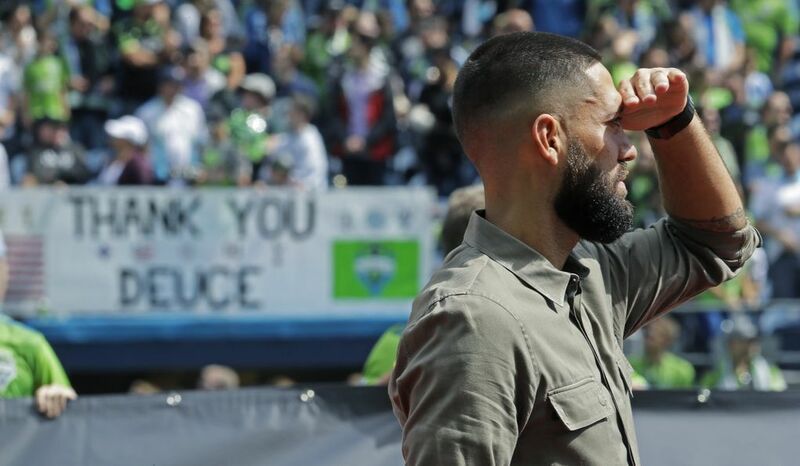 As is his custom, the man tied for the all-time Sounders franchise lead in goals didn’t say anything during Saturday’s pregame ceremony. 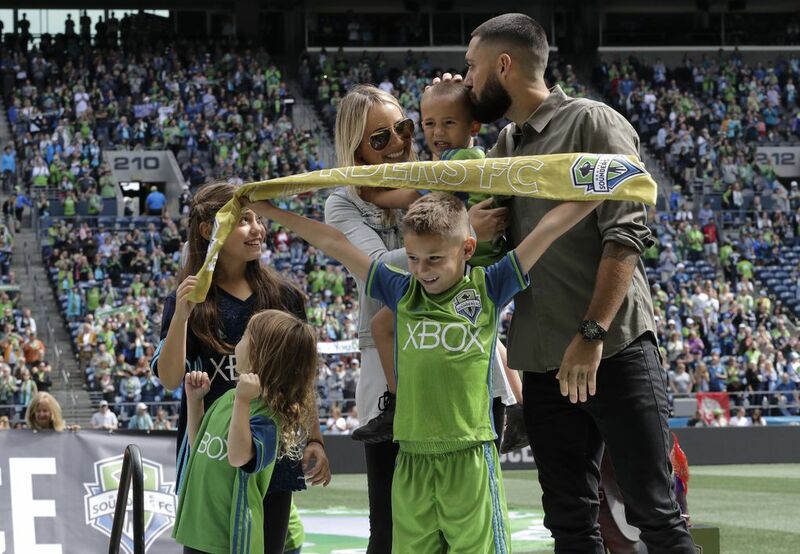 Instead, perhaps the greatest soccer player this country ever produced, his family by his side, saluted the crowd, clapped during video tributes and career highlights on the giant CenturyLink Field scoreboard and basked somewhat uncomfortably in the adulation. For retirement ceremonies, it was short and sweet. 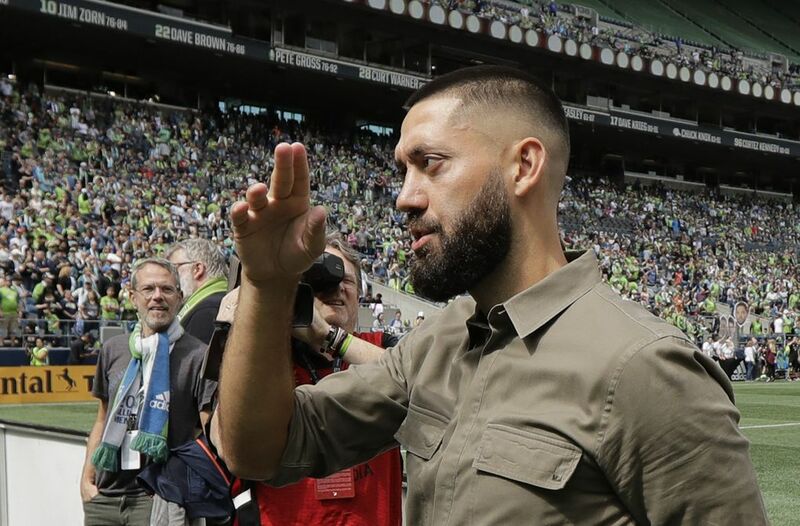 Dempsey, a man of action more than words, had called it a career earlier in the week at age 35, knowing his ability to do anything more on the field had been curbed by time and wasn’t likely to improve with the passage of more of it. 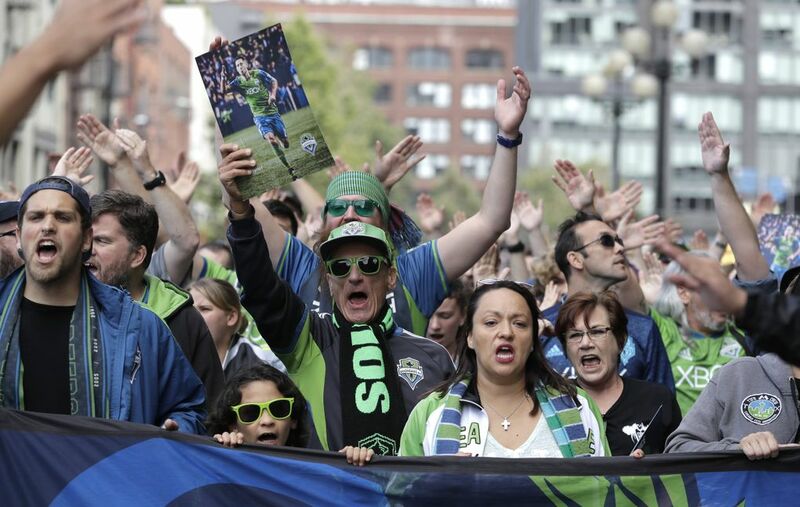 So, he took his cue and exited the stage one final time, leaving behind a Sounders team riding a record win streak and threatening a club unbeaten mark largely without him. 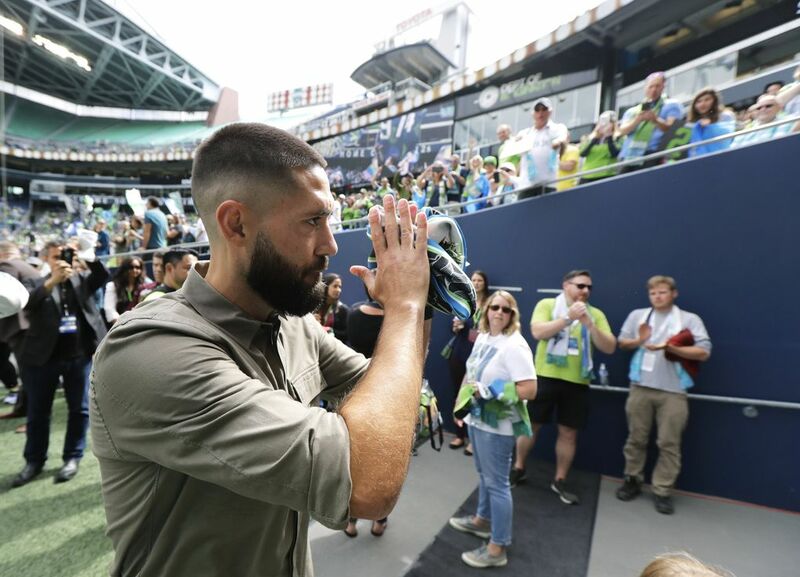 Five years after his widely heralded arrival in the Emerald City, Dempsey leaves a franchise that has won an MLS Cup championship, has been to consecutive finals and added a Supporters’ Shield and another U.S. Open Cup to its ledger. 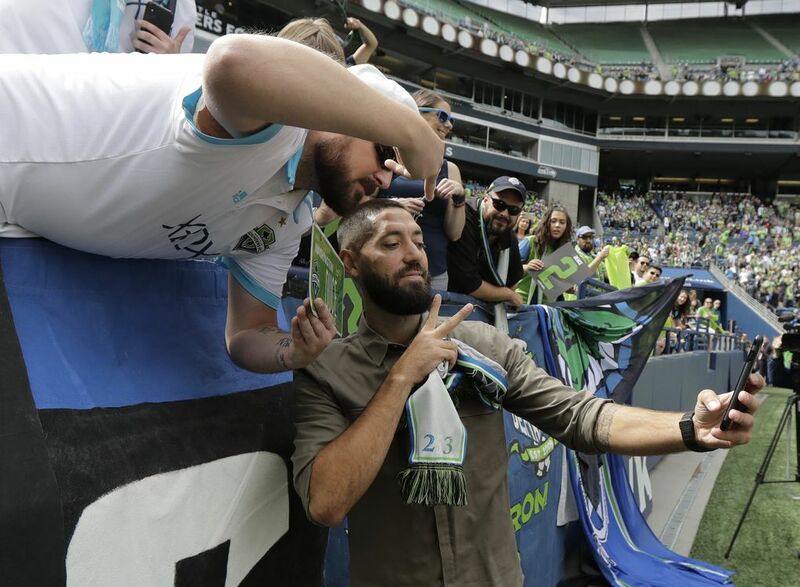 The club that brought him back to his native country from the English Premier League, hoping his presence would vault it to another level, honored the Texan with a jersey signed by teammates, the traditional Golden Scarf and the fishing rods to take with him on a three-day, all-expenses paid expedition to Alaska. 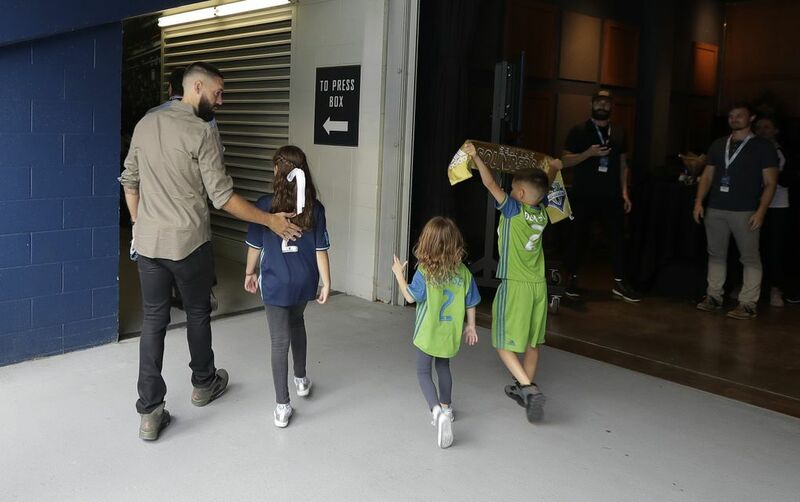 Among those giving the video tributes were stars from other sports such as Kobe Bryant, Steve Nash, Drew Brees and an assortment of Seattle celebrities including Marshawn Lynch, Felix Hernandez, Walter Jones, Megan Rapinoe and Macklemore. 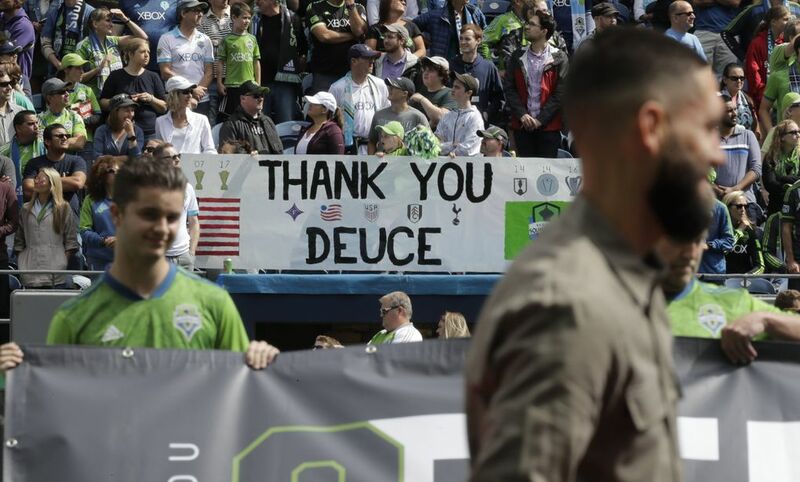 The biggest cheers were those reserved for former Dempsey teammates, including DeAndre Yedlin and the striker he teamed with in the best scoring tandem the Sounders have ever seen, Obafemi Martins. 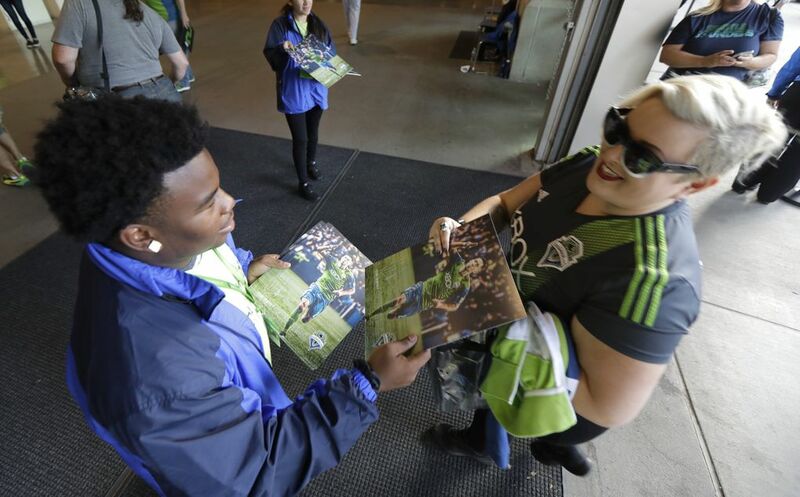 After saluting the team’s most die-hard fans, he was greeted by former longtime teammate Brad Evans, now with Sporting Kansas City but inactive and in street clothes due to injury. Dempsey’s career appeared over two years ago, when an irregular heartbeat sidelined him for the remainder of the 2016 championship season. 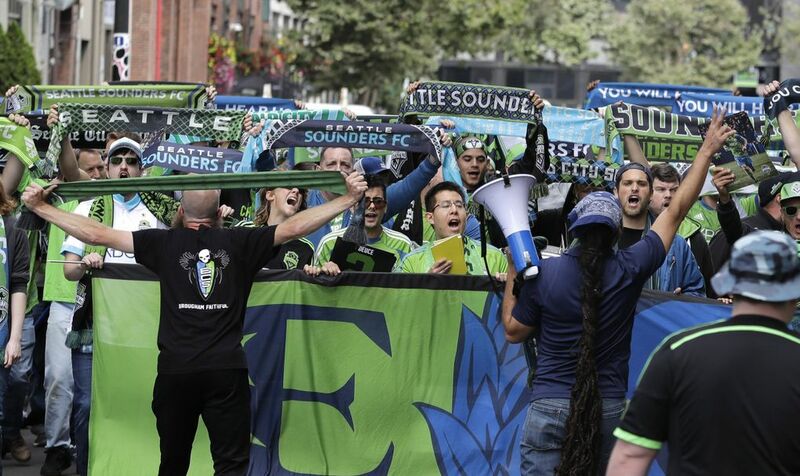 Instead, he returned last season, led the team with 12 regular-season goals and added three more in the playoffs to propel his squad back into the MLS Cup final while taking home league Comeback Player of the Year honors. Throughout his medical ordeal, Dempsey had always told anyone asking that he didn’t fear retirement: That when his career was done, he’d simply go fishing. Now, rods in hand, exiting the stadium’s field one final time, he’ll do just that.